How to Get an Online Gaming License? 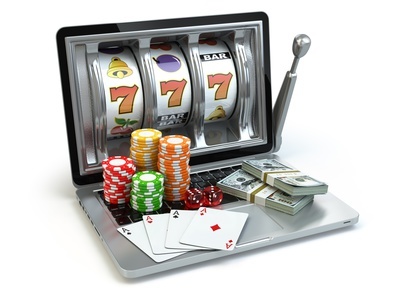 Getting an online gambling license is one of the most important steps in setting up your online gaming business. Although running an online gaming business involves a lot more than just getting a license it is still a vital step in starting your gaming business. Online gambling licenses are issued by many countries but some are more popular and worthwhile than others. Find more information for gaming suppliers B2B at gaming conventions review. The costs to consider when getting an online gaming license include the cost of application; legal advisory fee; operational compliance; taxation and the annual renewal of the license. In Curacao for example the cost can be about €20,000-25,000. The final cost can be influenced by the advisory fee which varies according to the type of business and its complexity. Another factor that influences the cost of a gaming license is the liquidity of the owner’s personal resources. It is possible to get an online gaming license from a number of offshore jurisdictions including Malta, Gibraltar and Curacao. There are specific requirements which need to be met by license applicants, no matter which jurisdiction they choose. Applying for an online gaming license requires knowledge, research and an investment of time and money. When choosing a jurisdiction for your online gaming license remember to research the jurisdiction’s tax laws and licensing costs; licensing laws and technical standards. Why get an online gambling license? Online gaming websites have proved to be extremely profitable. The sites provide an authentic gambling experience to players while making a tidy profit for the owners of the gambling business. The online gambling industry has expanded exponentially over the last few years but with that came an increase in corruption which became a major concern for players and gaming website owners. To counteract the growth of criminal activity in the online gaming industry the gaming community came up with a solution – established standards and regulation with the implementation of online gaming licenses. In this way players can be reassured that licensed gaming websites are secure and maintain a level of ethics that unlicensed gambling sites do not. Online gambling licenses protect the player and owner; players prefer to use licensed online casinos and this is good for business.